Basil chiffonade...lay a few leaves on top of each other, roll up like a cigar, thinly slice...fancy! 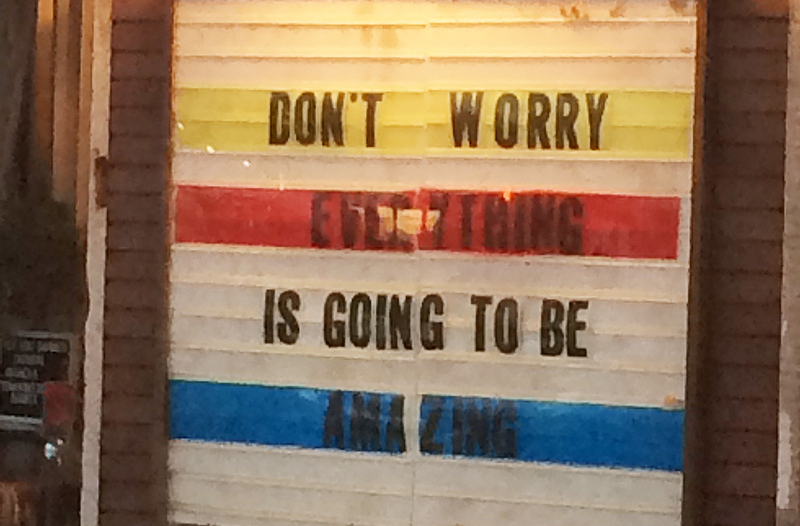 I saw this sign when I was in my old neighborhood in Manhattan...it is my 2016 motto! Heat 1/2 cup water to boiling. Add dried mushrooms and set aside. Meanwhile, heat canola oil in a large skillet over medium heat. Add onion and cook 5 minutes until translucent and starting to brown on the edges. Add fresh mushrooms and cook 10 minutes until most of the liquid has evaporated. Add garlic and cook 1 minute more. Drain the dried mushrooms, reserving the liquid. Chop the mushrooms and add to the skillet. Add the mushroom liquid and scrape the bottom of the skillet to pull up all the little brown bits. When that liquid has evaporated, add the water chestnuts, five spice powder, and hoisin sauce. Mix well and remove from heat. 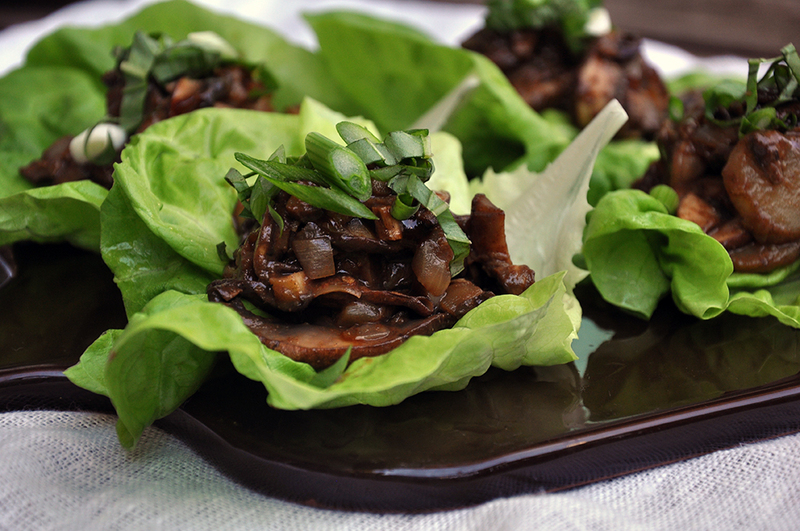 To assemble, place 1/4 cup of the mushroom mixture in each lettuce cup. 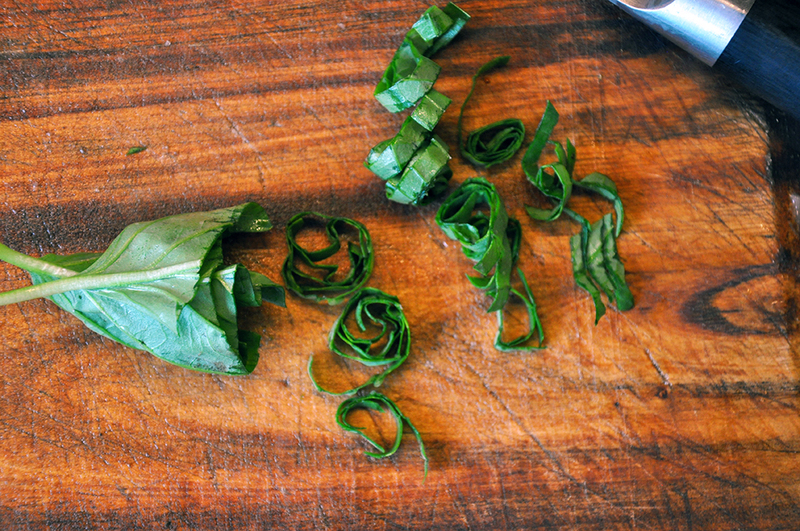 Top with a basil leaf that is either torn or chiffonaded (see picture), some sliced scallion, and a dash or two of sesame oil. Serve warm or at room temperature. Another great recipe. You have a wonderful food imagination.